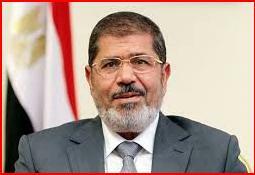 EGYPTIAN PRESIDENT Mohammed Morsi was ousted in a coup d’etat. The leader of the coup was a young, ambitious, and good looking soldier who wants to be senator someday. After barely a year in office, Egyptian President Mohammed Morsi was ousted in yet another uprising in Cairo. Morsi decried the move as a coup. TV footage showed the disgraced president leaving the presidential palace with his wife Loi Morsi and son Jinggoy Morsi via the Nile River. Apparently, the ousted president of Egypt, Mohammed Morsi is very active in social media. He felt that something sinister was brewing when the military chief unfriended him on Facebook. A crocodile slaughterhouse in Mindanao is selling crocodile skins to luxury bag maker Louis Vuitton. Crocodile skin from the Philippines is one of a kind. It smells pork. A Philippine Star report says there are three crocodile farms in the country where crocodiles are bred. Nope, they’re not the Senate, the Lower House and the LGUs. But close. Philippine National Police Chief Director General Alan Purisima wants to replace the design of the current uniform of policemen. The PNP says an internal survey showed policemen wanted new uniform to wear. 10 out of 1 uniform suppliers agreed! #kachingkaching! Speaking of surveys, a new study showed that the most profitable business to venture into here the Philippines is the water business while the best government agency to ink a deal with is the MWSS. It turned out that from 2008 to 2012, Maynilad and Manila Water Company passed on to consumers some P15.3 billion in income taxes. Yes, 15.3 billion pesos! That’s tubig not to notice! Microsoft is testing a Smartphone than can detect and share your mood in social media. Another modern way to annoy other people. Douglas Engelbart, the inventor of the computer mouse has died at 88. It’s really sad that pioneers like him only get noticed when they’re dead – while the Kardashians get all the attention every single day of the week. 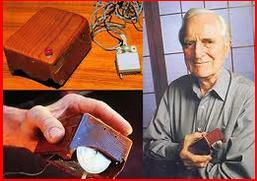 People around the world are mourning the demise of Mr. Engelbart, a true visionary. He’s got a point in inventing the mouse. That’s why it clicked. “We don’t see anything of importance that has been produced by the SK. We have many cases here where parents are the ones intervening in vote-buying and irregularities (in SK elections). And should we even wonder why it has taken them so long to realize what a crap that puppet body [SK] is…. you need ghost uniforms for all the police that just turn up on payday, and have a second job the rest of the time – just like cingressmen. i thought if you were elected/employed it is basic to turn up and work. only in the philippines can you get paid for not working. 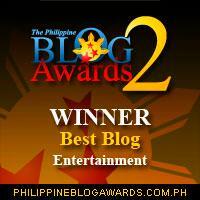 Next Next post: SALAMAT PO!